Important data loss from iPhone is an unbearable thing, though there are numerable reasons that could cause it. Well, your worry for data loss can end up here now. No matter you lost it due to accidental deletion or device broken, there are two ways for you to retrieve it. This article is going to show you how to recover iPhone calendar directly from your iPhone, or recover from your old backup. First of all, you need to install iPhone calendar recovery software on your computer. If you have no option, here is my recommendation: Wondershare Dr.Fone for iOS or Wondershare Dr.Fone for iOS (Mac), which provides you with two ways to find your previous iPhone calendar, directly from iPhone or from old iTunes backup. Actually, no matter iPhone calendar, also contacts, messages, notes, call history and more can be recovered here. Dr.Fone allows you to directly scan and recover data from iPhone 5/4S/4/3GS, iPad and iPod touch, but if you have iTunes backup, you can use any version of the program to recover data for all your iOS devices. Download the free trial version below to have a try. Do get the right one for your device. Here, we choose the Dr.Fone for Windows as an example. 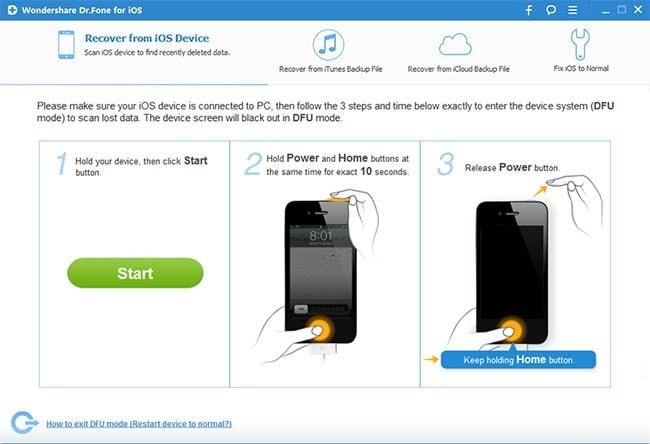 After Lauching Wondershare Dr.Fone and connecting your iPhone to the computer, you'll get the interface below. There are two recovery modes for your option. 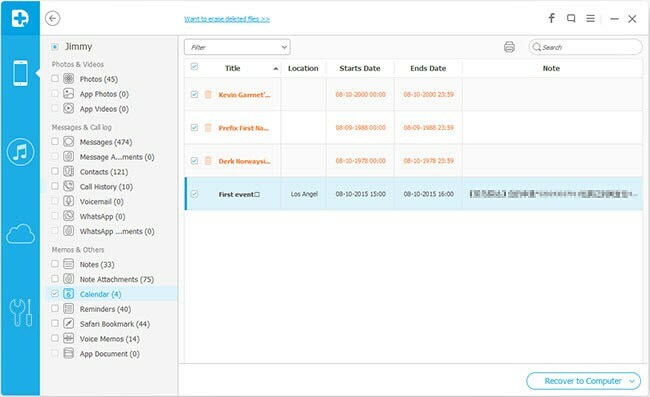 To directly scan and recover calendar from iPhone, choose "Recover from iOS Device"; to recover data by extracting iTunes backup, switch to "Recover from iTunes Backup File". Hold your iOS device and click “Start” button. Press “Power” and “Home” buttons on your device at the same time for exact 10 seconds. The Software will count time for you. When 10 seconds passed, release the “Power” button right away, but keep holding the “Home” button. 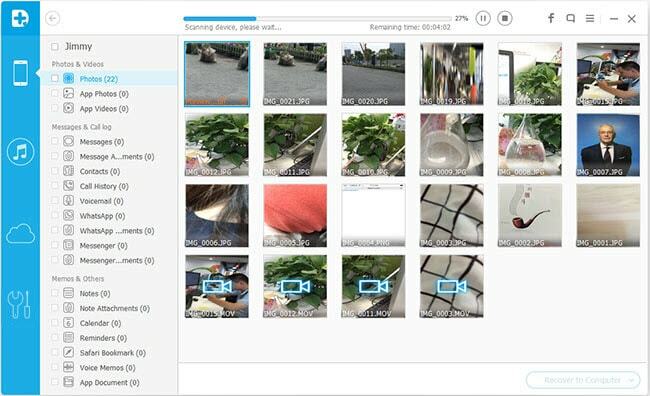 After that, the program will automatically scan your iPhone for lost calendar and other data. For "Recover from iTunes Backup File" option, choose the iTunes backup of your iPhone and click "Start Scan", the program will begin extracting your backup for previous data. After the scan, all lost data will be found and displayed in clear categories. To preview lost calendar, click "Calendar" menu on the right side and you can preview the detailed content one by one. Then mark those you want and click "Recover" button, you can save them all on your computer with one click. Note: Data found in each category includes those deleted recently. You can check them by sliding the button at bottom, "Only display the deleted items" in the red area.